Medal deciding day on Saturday 23 July, and the breeze ramped up in a final test for teams, just to make sure the medallists rising to the front were truly challenged across all conditions. The transition from the light winds that dominated earlier in the week to big breeze and waves, turned up the heat and pitched new faces to the front. There was no shortage of talent across the fleets, with a multitude of teams ready to step up and claim the coveted World titles. 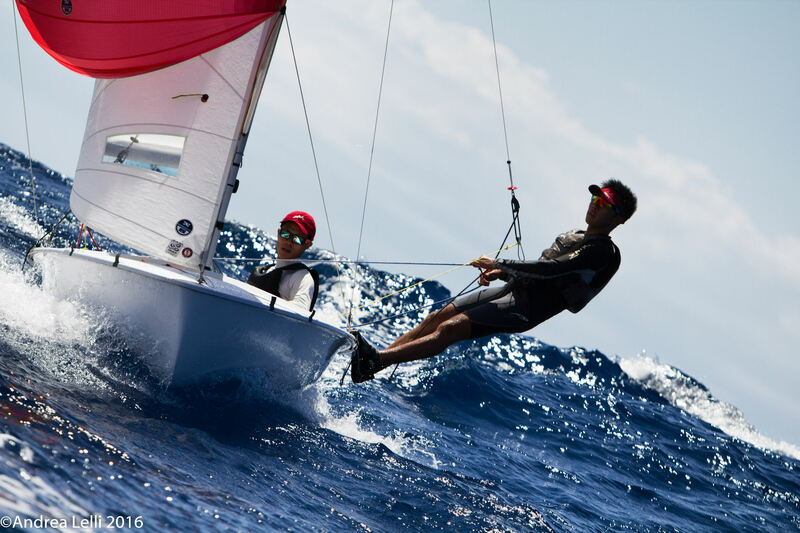 The 2016 420 Worlds have been a benchmark in participation, featuring 524 sailors representing 24 nations across the three World Championships: Open (110 teams), Ladies (84 teams) and U17 (68 teams). These young teams want to win, that is how they are wired. But, you perform best when you are enjoying yourself, and whether on the water or ashore the camaraderie between teams and nations was evident. Reflecting the Class’ appeal to youth, the youngest helm was aged just 12 years old, going through to the oldest at 23. A similar age range was reflected in the crews, going from 13 to 21 years, with the exception of one 28 year old crew – demonstrating you’re never too young or too old to sail a 420. 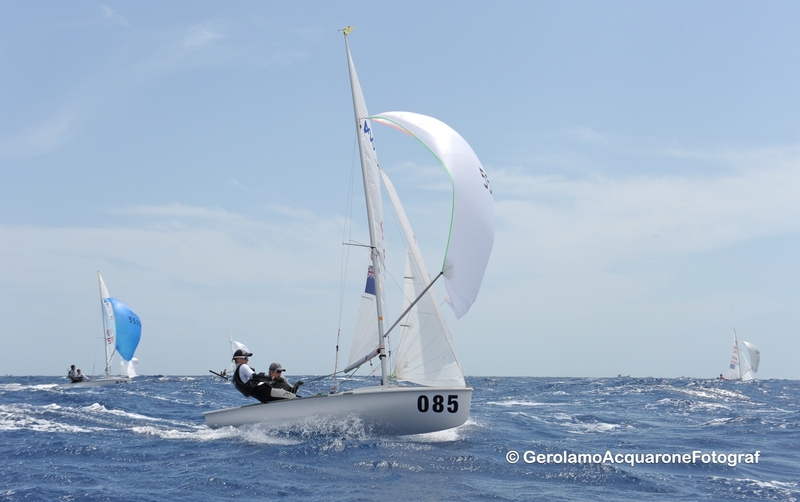 Proving they are athletes for all conditions, Francesca Russo Cirillo/Alice Linussi (ITA) faced the kicked up sea and big breeze with a super consistent 4,3 scorecard to claim gold. 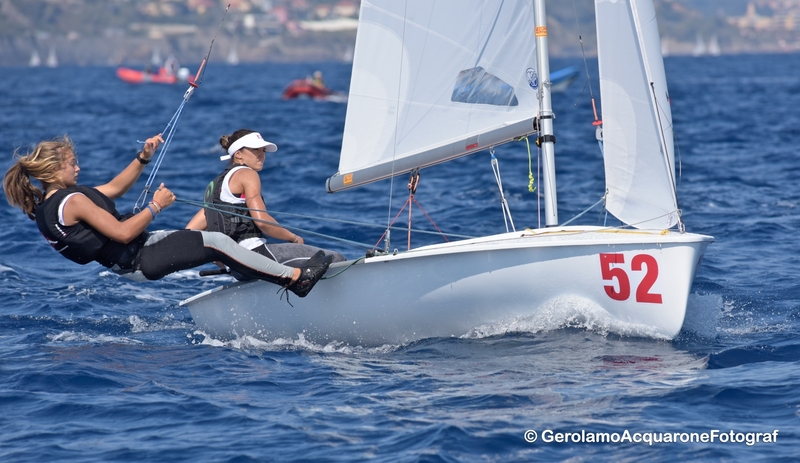 Russo Cirillo won the 2014 420 Ladies World Championships as crew to her then helm, Carlotta Omari, so her eyes were on a second World Championship prize from day 1. The Italians went into the final day with a 7 point deficit to Spain’s María Bover Guerrero/Clara Llabrés, so had no margin for error. Russo Cirillo/Linussi took control of the race track, showing a dazzling display of precision, talent and stamina. Bover Guerrero/Llabrés struggled, notching up their worst daily points score of the series, a 15,18. 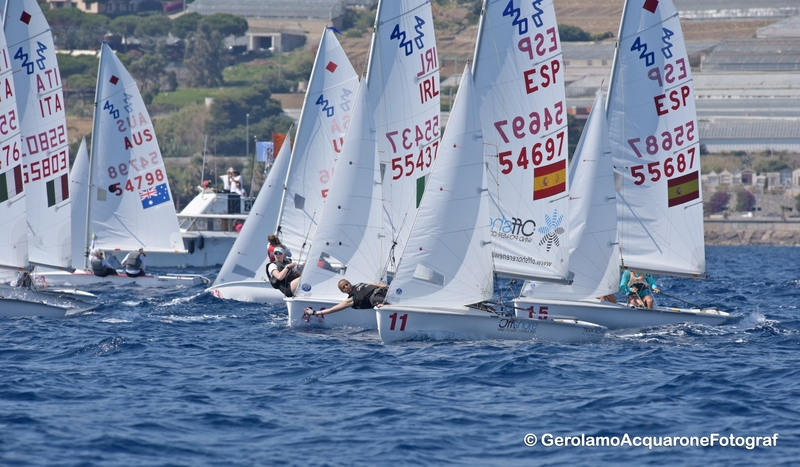 With their 18th result discarded however, the Spanish could still safely claim silver, with bronze going to Maria Vittoria Marchesini/Cecilia Fedel (ITA), who held onto the third place on the leader board they had going into the day. 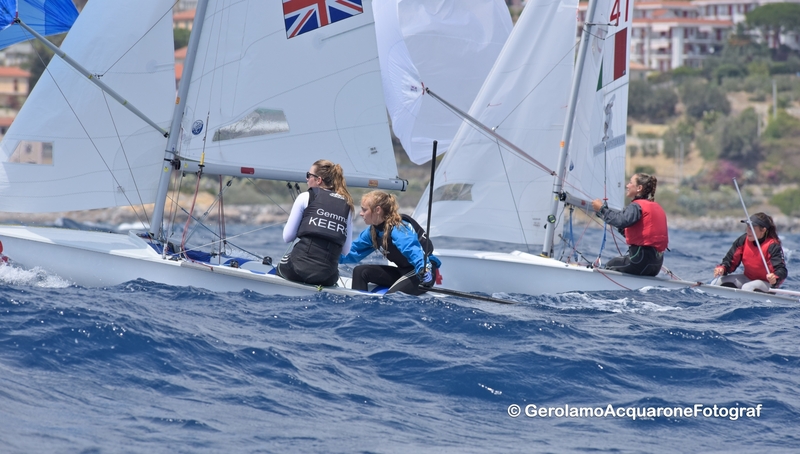 Race wins to Carlotta Omari/Matilda Di Stefano (ITA) in race 11 saw the pair finish in 10th overall, with Fenella Bennett/Emily Gent (GBR) seizing the race 12 win and climbing to finish 19th overall. 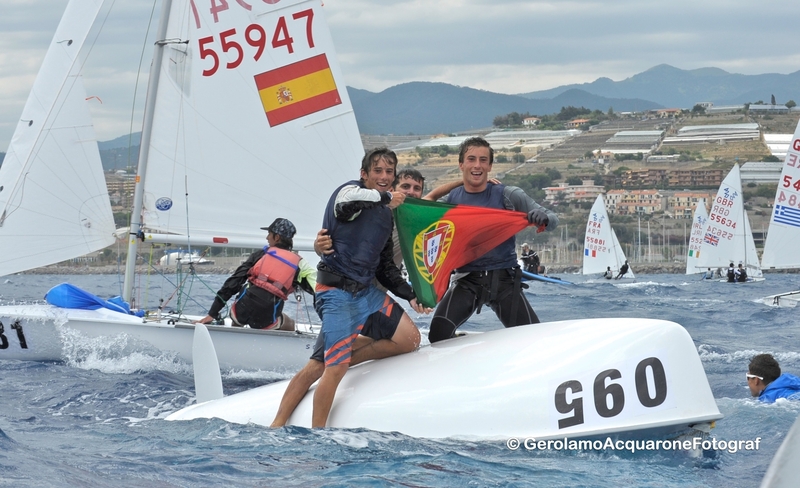 Portugal’s brothers, Diogo Costa/Pedro Costa edged their rivals aside, to sail through the pack and claim the World Championship title in the final race. Two strong results of 3,7 converted what was a 10 point deficit behind the leading team going into the day, to an 11 point advantage at the end. Saturday’s big breeze brought about a reversal of leader board fortunes for many. 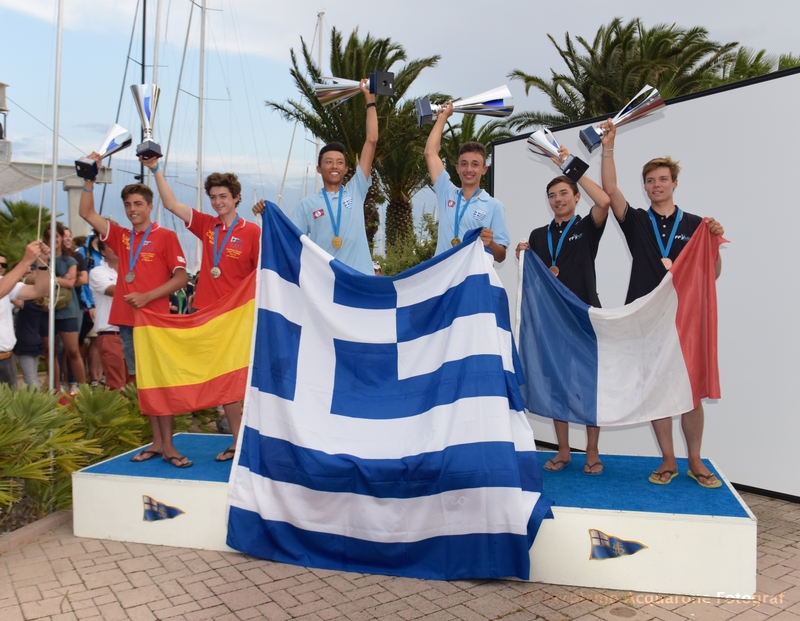 Of the three teams in podium places at the start of the day, only the Portuguese held onto a medal position. Wiley Rogers/Jack Parkin (USA) executed a superb performance when it mattered most, eating up the race track to score 2,2 and claim the silver medal. Bronze to Greece’s Vasilios Gourgiotis/Orestis Batsis, who converted their leader board 7th going into the day to a 3rd at the end, from results of 12,3. Predicting such a reversal was not on the cards for the series leaders going into the final two races, with France’s Theo Carayon/Erwan Lucas, on strong form. Disaster for them though, as scores of 43,27 plummeted them to sixth overall. Still an impressive result, but not quite what they were anticipating. 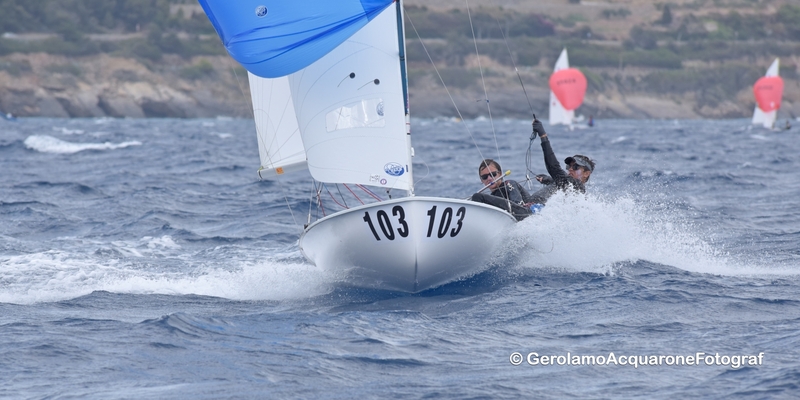 Star performance went to Australia’s Tom Klemens/James Grogan who knocked out back to back race wins in the final day. 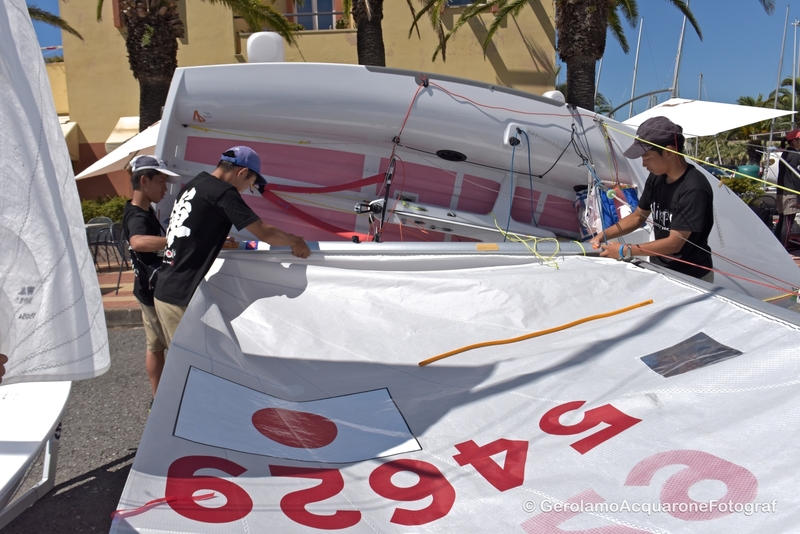 As one of the older and heavier teams in the fleet, the lighter breeze did them no favours. But when the wind came out to play, the Aussies motored through the fleet to taste race victory, and finished 31st overall. 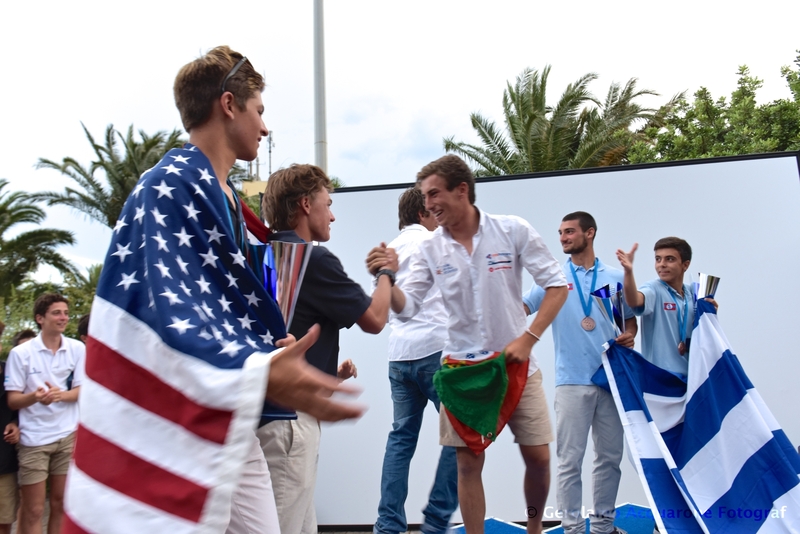 The U17 gold medals go home with Greece’s Telis Athanasopoulos Yogo/Dimitris Tassios, from super consistent performance, including 3 race wins in the 9 race series. After discarding their 14th place from race 3, the duo only held a scorecard of top 10 results. 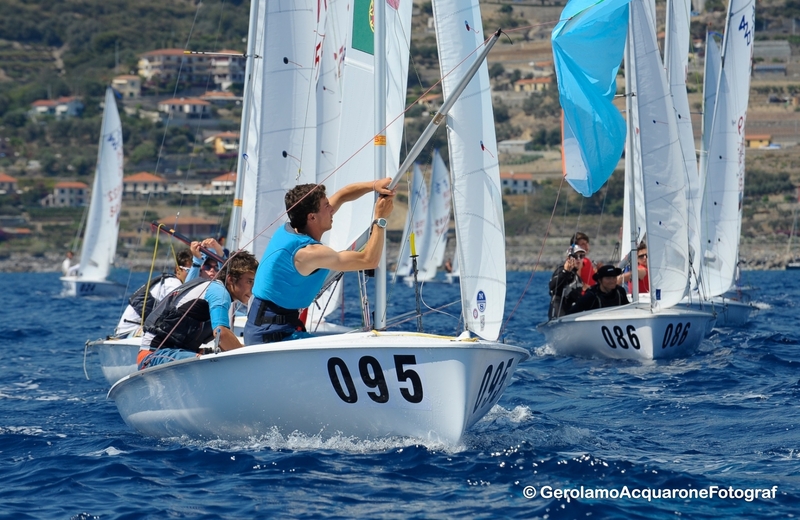 Next week, at the 2016 420 Junior Europeans, the pair will try to complete their 2016 racing season with a double-victory. Silver to Eduard Ferrer/Carlos De Maqua (ESP) and third to Enzo Balanger/Gaultier Tallieu (FRA). No racing on the final day as the high winds mucked up the race programme. 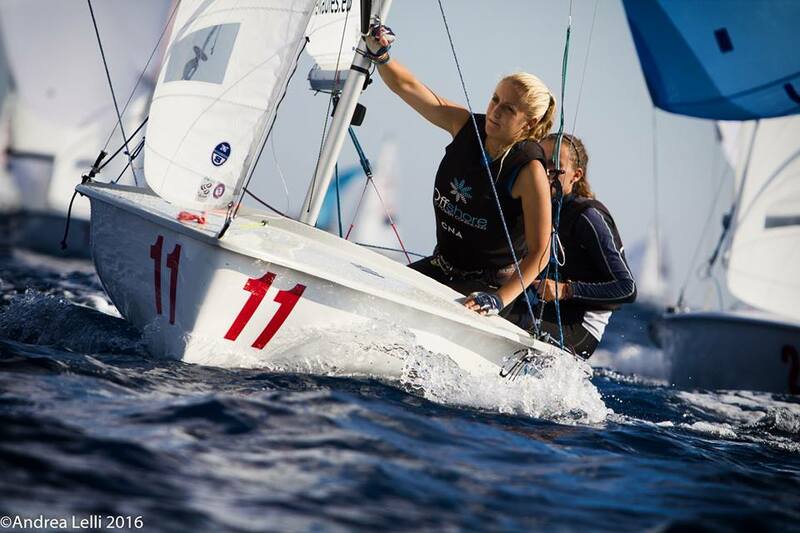 Initial series leaders, Violette Dorange/Camille Orion (FRA), struggled in the penultimate day of racing. With the breeze up, they scored two mid-fleet finishes and damaged their points count. But regardless, they lay claim to an impressive 4th place finish and top girls team in the 68-boat U17 fleet. 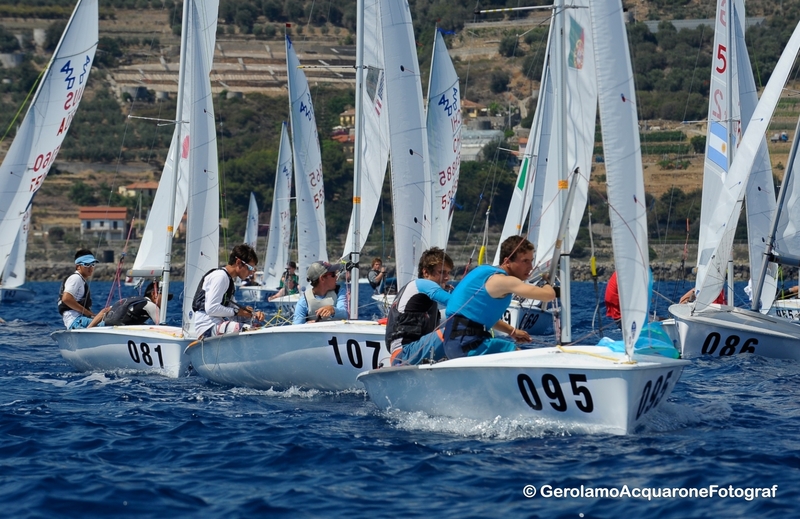 Dorange/Orion will also be returning to the U17 fleet fray at next week’s 420 Junior Europeans. Many of the teams will now head across Europe to the 2016 420 Junior European Championships in Lake Balaton, Hungary, 29 July-6 August 2016. Huck Scott Memorial Trophy - to the youngest boat crew competing in either the Open or the Ladies fleets, was presented to Eleanor Keers/Isobel Pugh (GBR). 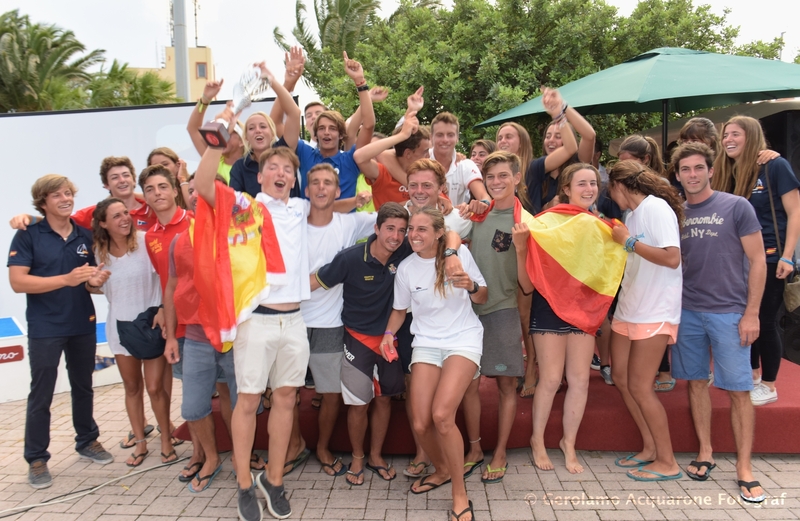 William Sanchez Trophies - presented to the highest placed team, both aged 16 or under, in the year of the Championship was presented to Julia Szmit/Hanna Dzik (POL) in the 420 Ladies and Enrique Luján/Pablo Luján (ESP) in the 420 Open. 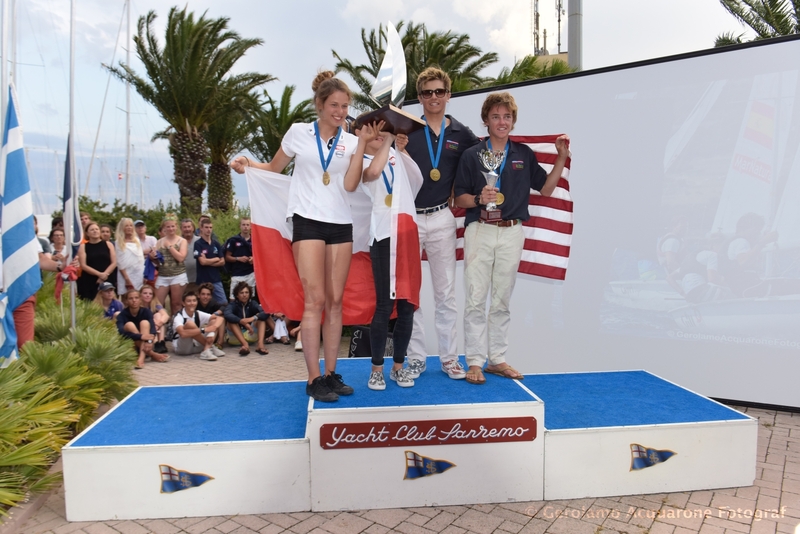 John Merricks Trophies – presented to the highest placed team, both aged 18 or under, at the end of the year, was presented to Julia Szmit/Hanna Dzik (POL) in the 420 Ladies and Wiley Rogers/Jack Parkin (USA) in the 420 Open. 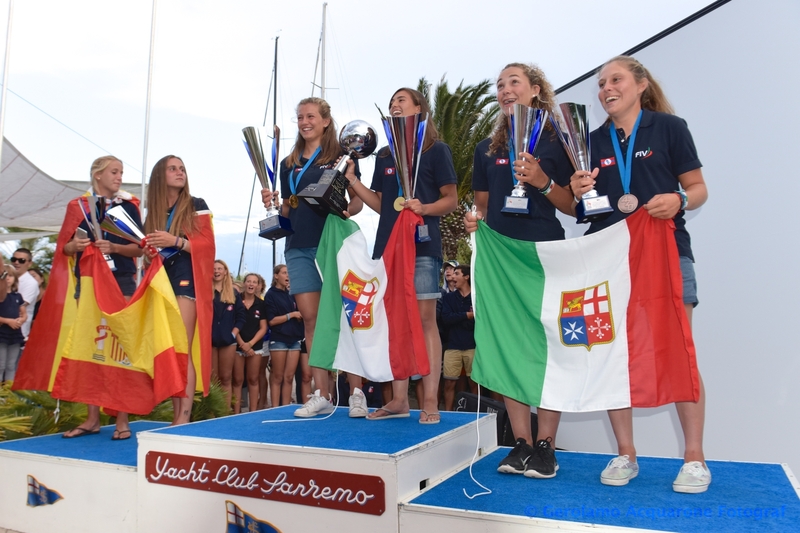 Francis Mouvet Trophy – was awarded to Spain, as the nation with the highest placed three teams in the World Championships, across both the Open and Ladies fleets. 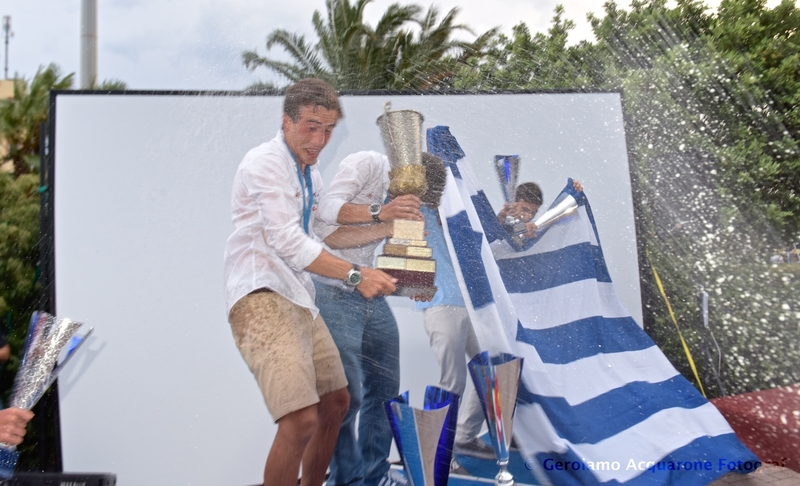 Gerolamo Acquarone is the Official Championship Photographer. Daily photo galleries are available on the Championship website and Facebook. Daily highlights videos will be available on the Championship website video gallery and 420 Class YouTube channel. 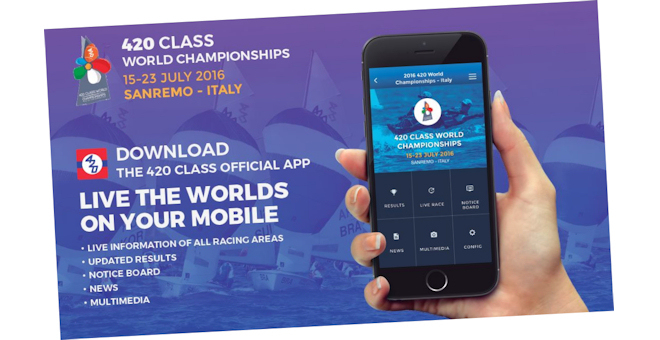 The 2016 420 World, Ladies World and U17 World Championships, 15-23 July 2016, is being held at Marina degli Aregia, Sanremo, Italy and organized by the Italian Sailing Federation, in partnership with the Yacht Club Sanremo, International 420 Class Association and Italian 420 Class Association. 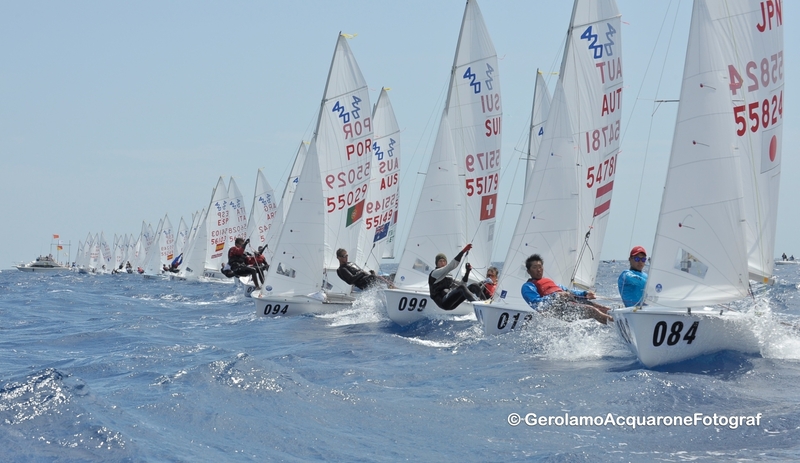 524 sailors from 24 nations are competing, with 110 boats in the 420 Open fleet, 84 in the 420 Ladies and 68 in the U17. 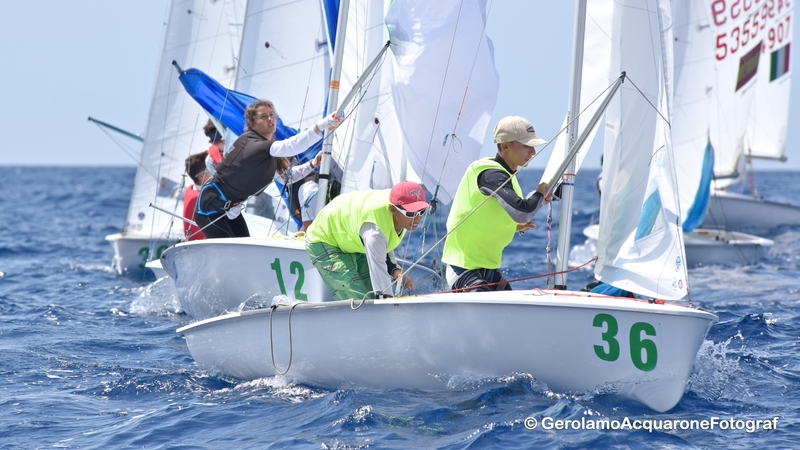 The 420 Open and 420 Ladies teams contest a 12 race series, with 6 races in the qualification series and 6 in the final, with a single race discard coming into play after race five. The 420 Open and 420 Ladies are each split into fleets for the qualification series with reseeding after each day’s racing. For the 6 race final series, teams will advance to gold and silver fleets, based on their leaderboard position from the qualification series. 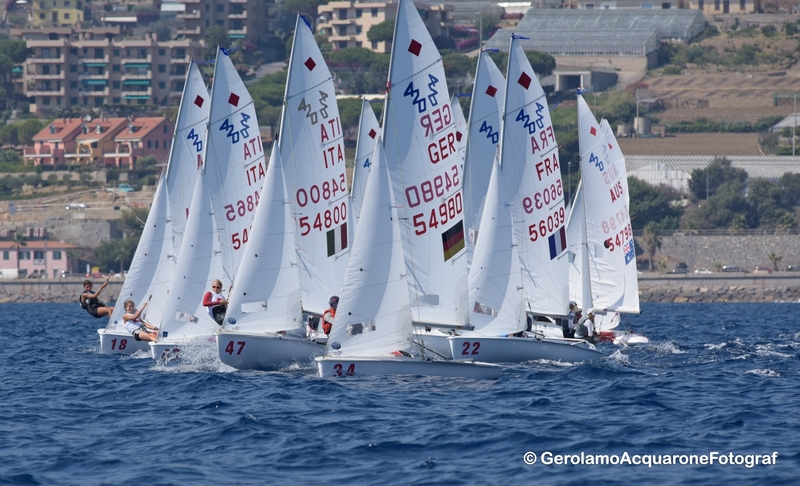 Teams contesting the U17 World Championships race a single series of 12 races. The twenty-five nations competing are: Argentina, Australia, Austria, Brazil, Chile, Czech Republic, France, Germany, Great Britain, Greece, Hong Kong, Hungary, Ireland, Israel, Italy, Japan, Mexico, New Zealand, Poland, Portugal, Spain, Switzerland, Turkey, Uruguay, USA. 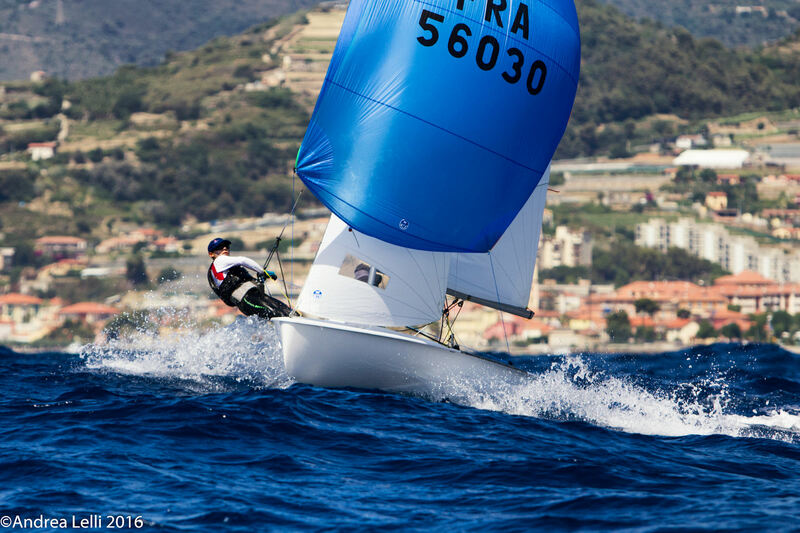 The 420 is an established worldwide performance two-person trapeze and spinnaker racing dinghy which holds status as an International Class and Learn-to-Sail boat.